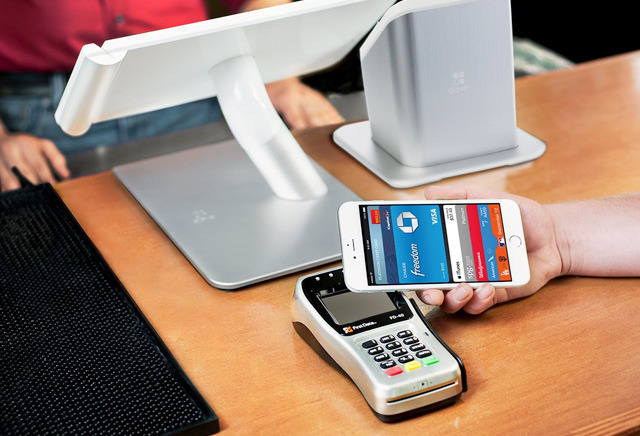 Apple Pay should get a major lift within the next five years from a pair of factors, according to new research, most notably contactless support demanded by credit card giants Visa and Mastercard. By 2020, both companies will require payment terminals in many markets to offer the technology, Juniper Research noted. The lack of compatible sales terminals has been a consistent obstacle in U.S. Apple Pay adoption, such that some retailers —like Anthropologie —have promised support for years without delivering. Growth may also be aided by shoppers wanting to avoid the slower speeds of chip card transactions, which are presently replacing magnetic swipes. U.S. contactless payments at retail are forecast to rise from 2 percent this year to 34 percent by 2022, Juniper said. Globally, figures are predicted to rise from 15 percent to 53 percent, reflecting the technology's greater popularity in countries like Poland, Japan, and the U.K.
Apple is planning relatively modest expansion of Apple Pay this fall. The platform will arrive in four more countries by the end of the year, and iOS 11 will enable person-to-person money transfers, potentially biting into the revenue of companies like Square and PayPal.